These books have damaged covers (marred or bent). The music is totally fine! These are in limited quantity. Music for Two Cellos Volume 1 45121 FACTORY 2ND! Music for Two Cellos Volume 1 Music from Four Centuries #45121 FACTORY 2ND! A terrific collecti..
Music for Two Trombones Vol. 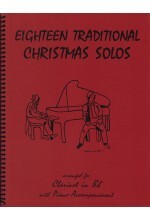 1 - Duets in a Jazzy & Classical Style for Two Trombones #45221FS ..
Intermediate Music for Three - Christmas Part 1 for Flute or Oboe or Violin #53111 *Factory ..
Eighteen Traditional Christmas Solos for Clarinet in Bb and Piano #40015 *Factory S..
Music for Three, Volume 6 - Opera Favorites Part 2 for Flute, Violin or Oboe #50621 Fact..
Music for Two - Traditional Christmas Favorites for Flute or Oboe or Violin & Clarinet #46251 ..
Music for Three, Volume 7 - Irish Music, Fiddle Tunes & Traditional Pop Favorites Par..
Intermediate Music for Three - Christmas Part 3 for Bass Clarinet in Bb #53133 *FACTORY SECO..
Music for Three - Volume 3 - Part 2 Viola 50322FS Factory Second! 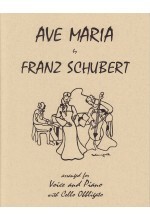 Music for Three, Volume 3 - Sacred Music, Spirituals, & Traditional Jewish Music Part 2 fo..
Music for Three - Volume 8 - Part 2 Viola 50822 FACTORY 2nd! Music for Three, Volume 8 - More Baroque, Classical & Romantic Favorites Part 2 for Viola #5082..
Intermediate Music for Three - Volume 2 Part 3 for Baritone Saxophone in Eb #52235 *FACTORY SECOND..
Music for Four, Christmas Volume - Traditional Chistmas Music Part 3 for Viola #75131 Factory 2nd!.. Intermediate Music for Three - Volume 1 Keyboard or Guitar with chord symbols #52140 *Factory Seco..
Intermediate Music for Three - Volume 2 Score (parts 1-3 in C) #52299 *FACTORY SECOND A wonderf..
Music for Three - Volume 7 - Keyboard or Guitar with chord symbols 50740FS Factory Second! Music for Three, Volume 7 - Irish Music, Fiddle Tunes & Traditional Pop Favorites for..